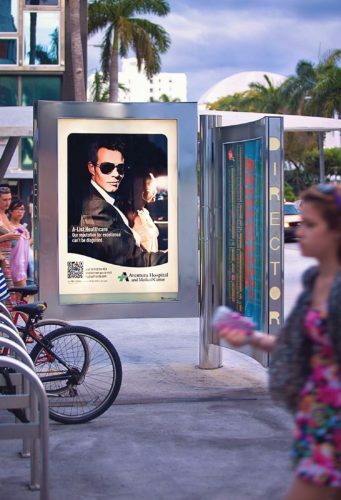 MDG recently developed an eye-catching outdoor advertising campaign for the HCA East Florida hospitals in the Miami area, specifically Aventura Hospital and Medical Center and Mercy Hospital. The goal of the campaign was to assert a leadership position for these two outstanding medical facilities while increasing their patient volume and appealing to the area’s younger audience. 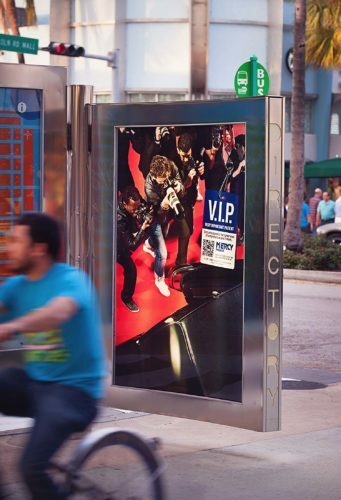 The challenge lay in capturing the attention of Miami’s younger demographic, so MDG created a fresh and edgy outdoor campaign that tied in to the fashionable Lincoln Road lifestyle. 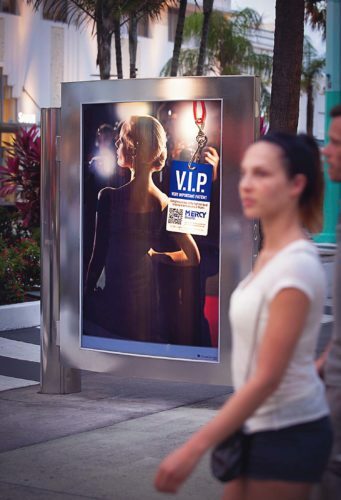 The out-of-home campaign consisted of posters in kiosks on Lincoln Road and in Aventura Mall. Each ad had eye-catching images and copy that highlighted the hospitals A-list healthcare services for those who live in and visit the area. The message was that these hospitals are the “places to go” for outstanding healthcare in Miami. 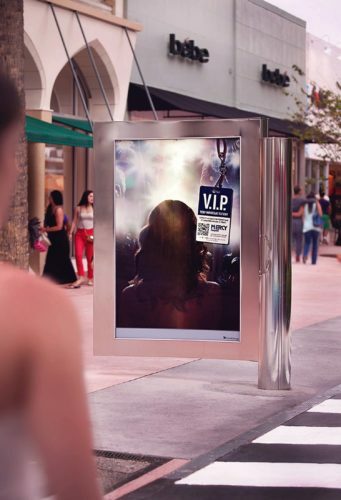 The campaign went beyond traditional outdoor advertising by incorporating digital, geo-location, and real-time elements that would appeal to the tech-savvy nature of the targeted younger audience. 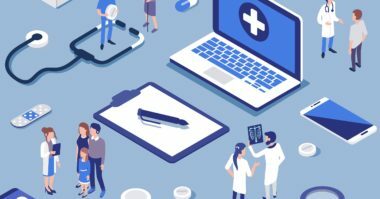 Each ad featured a QR code that directed consumers to a website landing page that listed the nearest hospitals and their average ER wait times. 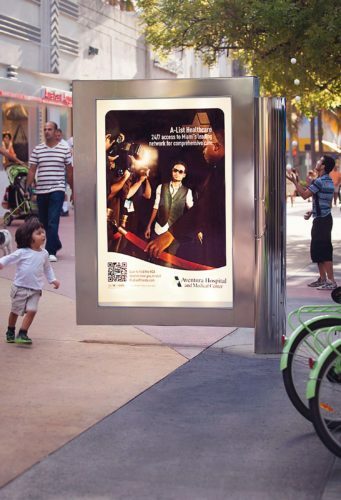 To learn more about the power of creative outdoor advertising and how it can increase patient volume and awareness for your healthcare brand, contact MDG Advertising. 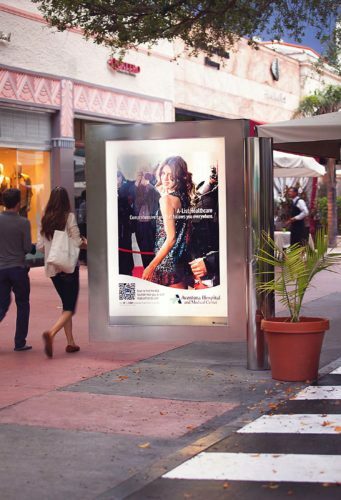 MDG Advertising, a full-service advertising agency with offices in Boca Raton and New York, NY, is one of Florida’s top creative ad agencies. 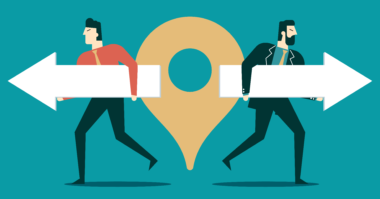 Our 360° integrated approach uses just the right mix of traditional and digital marketing to reach your healthcare marketing goals. MDG’s core capabilities include print advertising, branding, logo design, creative, digital marketing, media planning and buying, radio and TV advertising, outdoor advertising, Web design and development, email marketing, social media marketing, and SEO. To stay on top of the latest trends in healthcare marketing and advertising, contact MDG Advertising.